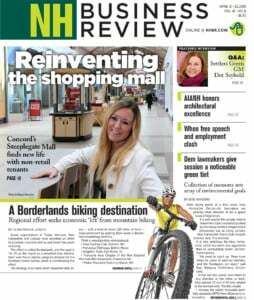 The University of New Hampshire has risen to the top echelon of research universities in the country, as designated by the Carnegie Classification of Institutions of Higher Education, and is now among the 130 doctoral-granting universities in the “very high research activity,” or R1, category. “This is a powerful recognition of UNH as one of the nation’s highest-performing research universities,” said Jan Nisbet, senior vice provost for research at UNH. 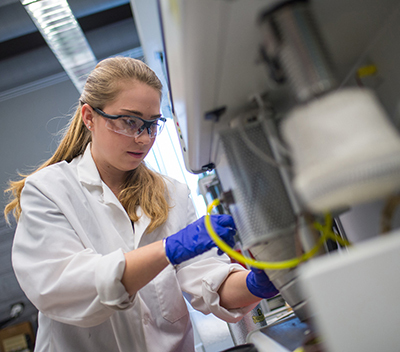 “It underscores our ongoing commitment to research and scholarship that improves the lives of people here in the Granite State and across the globe.” UNH was previously in the second tier — doctoral universities high research activity, or R2 — of Carnegie Classifications; ascending to the top level has been a focus of Nisbet’s for the past decade. Among New England public universities, only the University of Connecticut and University of Massachusetts-Amherst are also categorized as R1; both institutions are nearly double the size of UNH. Research at UNH attracts more than $110 million in competitive external funding each year. Research strengths include space physics, Earth and the environment, marine science and ocean mapping, vulnerable populations and American history. Nearly 600 students pursue doctoral degrees at UNH, which is also home to the nation’s largest undergraduate research conference. Designation as an R1 university will boost UNH efforts to attract talented undergraduate and graduate students, post-doctoral researchers, faculty and staff, Nisbet said. It also indicates to federal and state agencies, private foundations and philanthropists, and business and industry that UNH has the capacity to conduct high-quality research and education. The Carnegie Classification is the leading framework for describing the diversity of the more than 4,000 colleges and universities in the United States. Updated every three years, the quantitative analysis is widely used by state legislatures, federal agencies, grant-making institutions, news media and others.